Alcacer and Sancho each scored in BVB's 4-0 win over VfB Stuttgart on Saturday. For the Spaniard, it was his league-leading seventh goal of the campaign - a record he shares with Eintracht Frankfurt's Luka Jovic - while it was Sancho's second goal, to go alongside his Bundesliga-best six assists. Incredibly, the pair have only started three of Dortmund's eight games between them, but that hasn't stopped them from having a direct hand in 15 goals already. Paris Saint-Germain duo Neymar and Kylian Mbappe may have accounted for 23 goals, but they have needed 1,203 Ligue 1 minutes to do so. 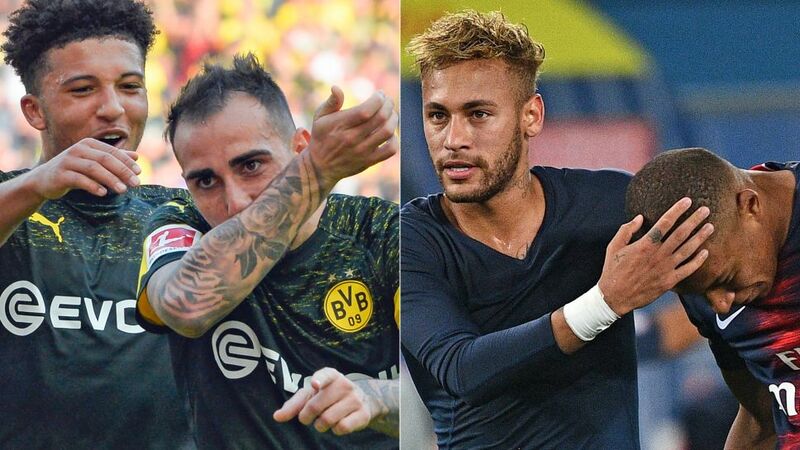 Sancho and Alcacer have only taken a combined 430 Bundesliga minutes for their haul. The result? Inside every half hour (or 28.6 minutes to be precise), one of Sancho and Alcacer will make or take a goal. By comparison, Neymar's and Mbappe's tally is a goal or assist every 52.3 minutes. Indeed, with his record-setting five goal haul against Fortuna Düsseldorf on Friday, Jovic saw to it that he and Sebastien Haller also overtook the PSG pair, with Die Adler seeing the net bulge every 51.1 mins they are on the pitch.